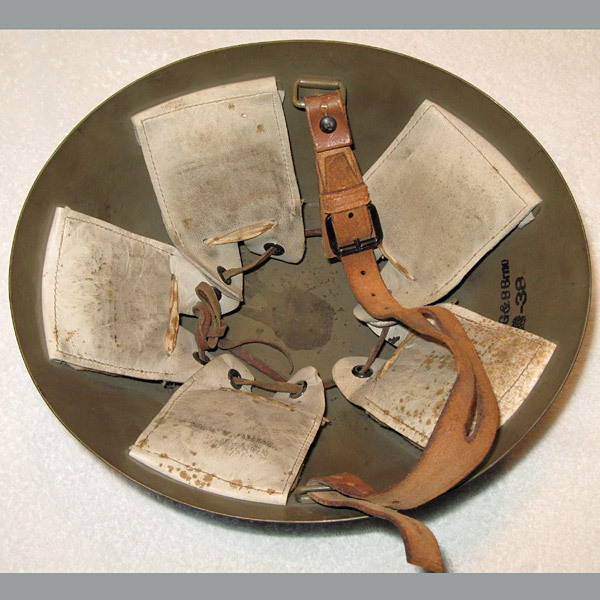 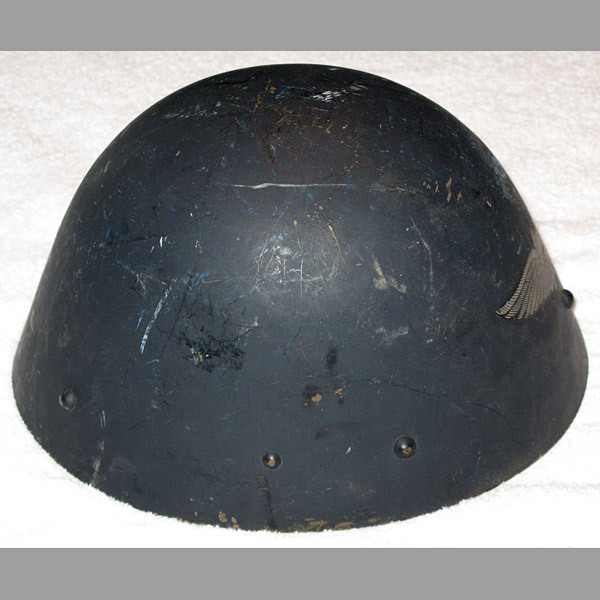 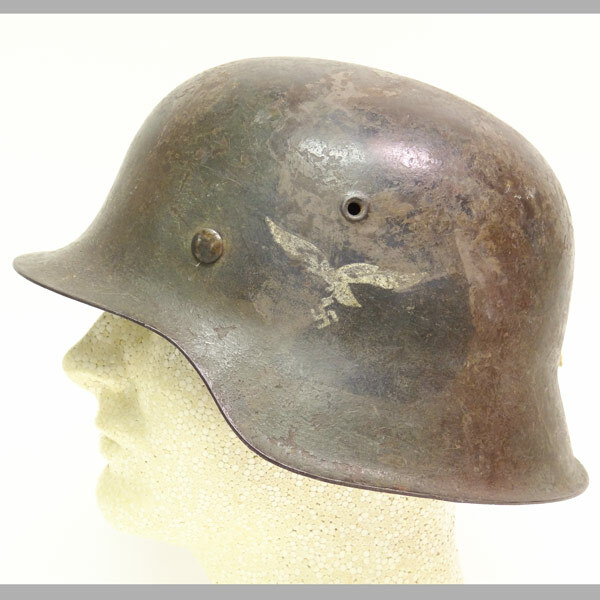 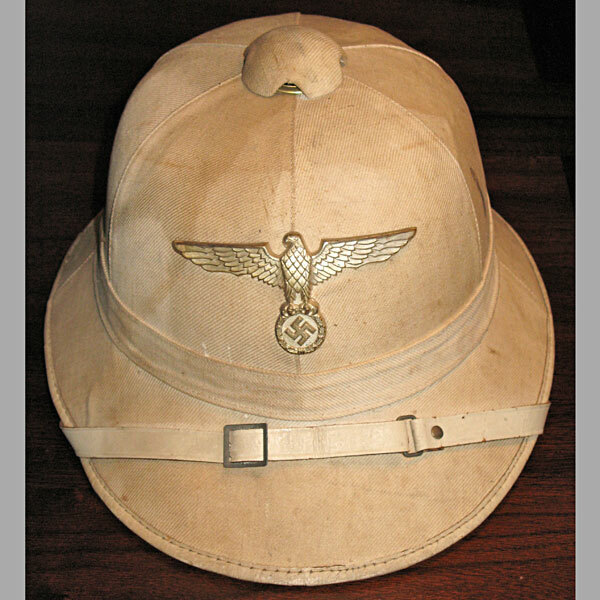 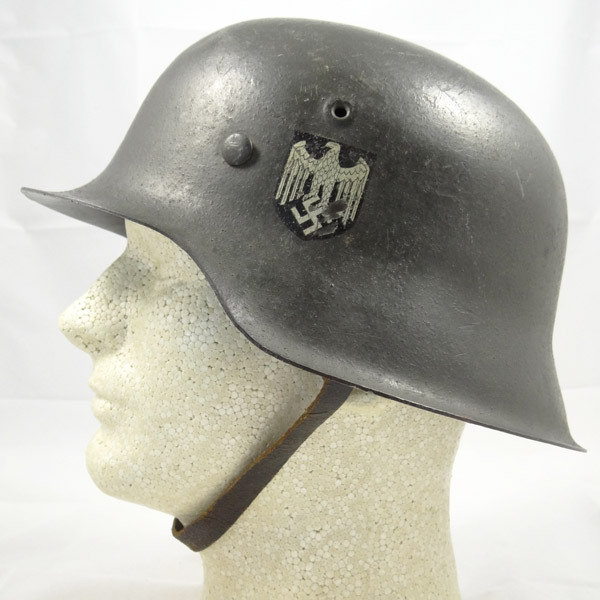 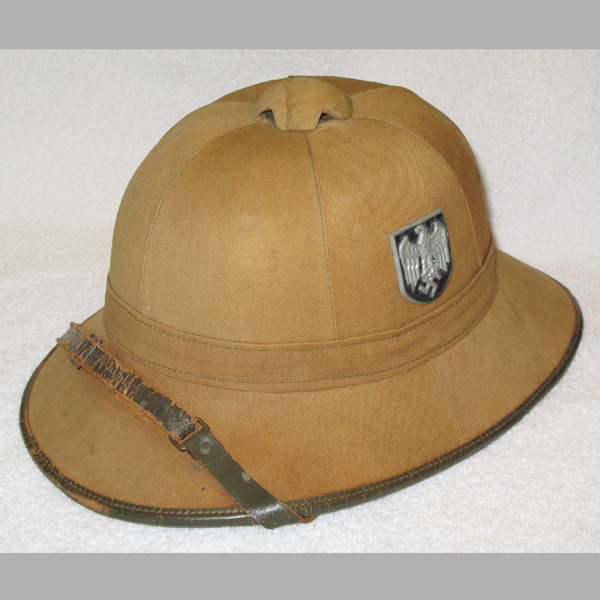 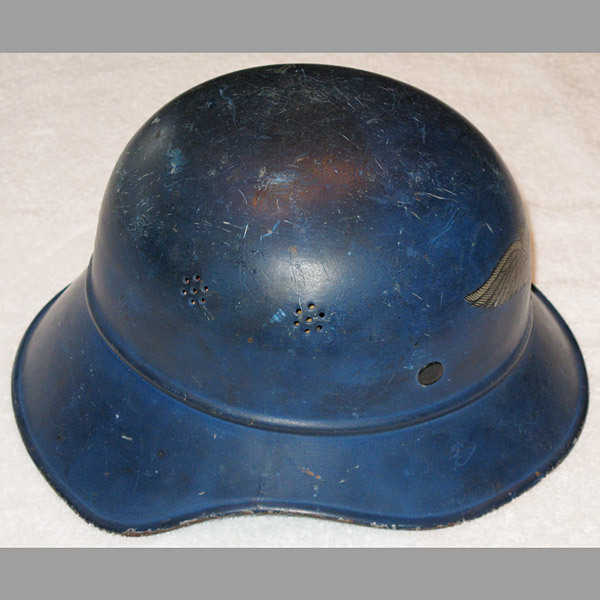 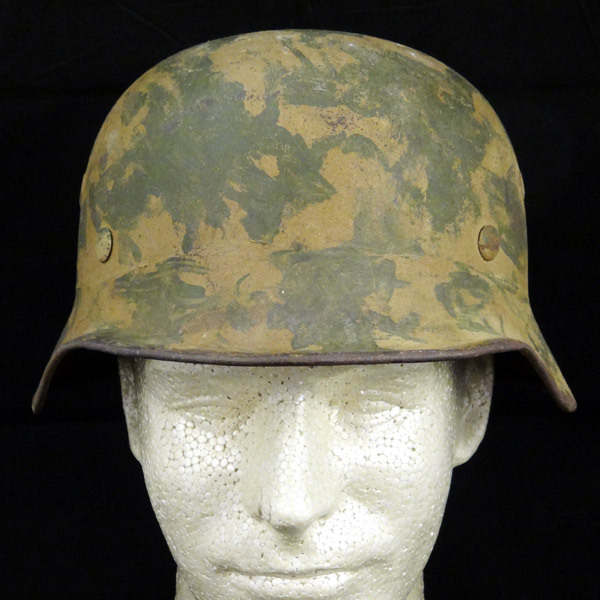 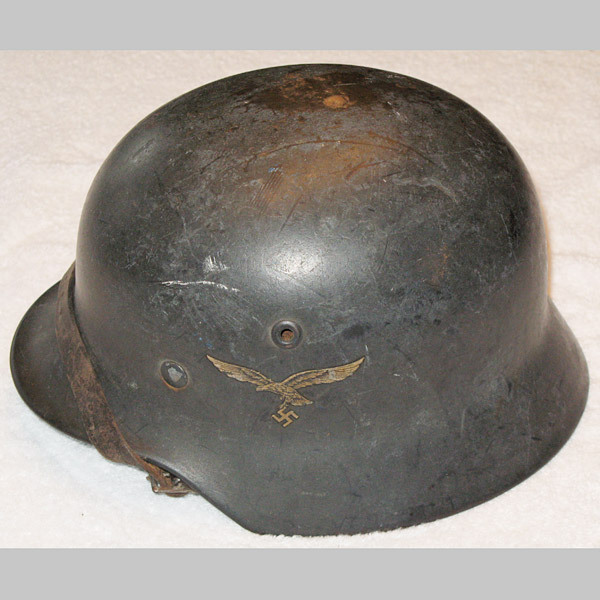 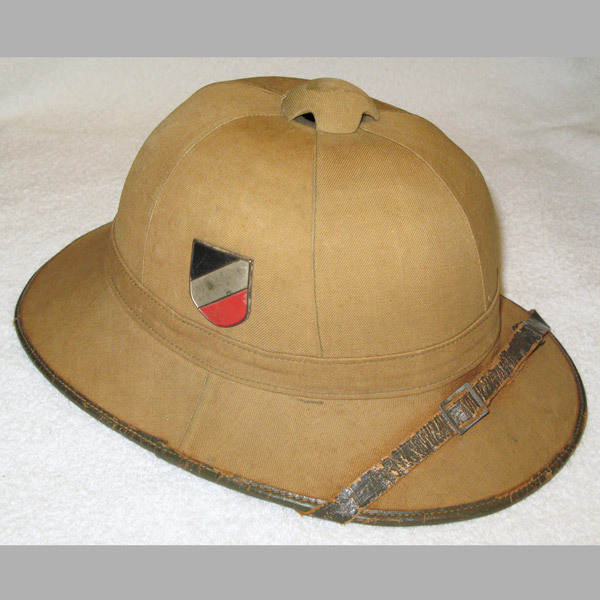 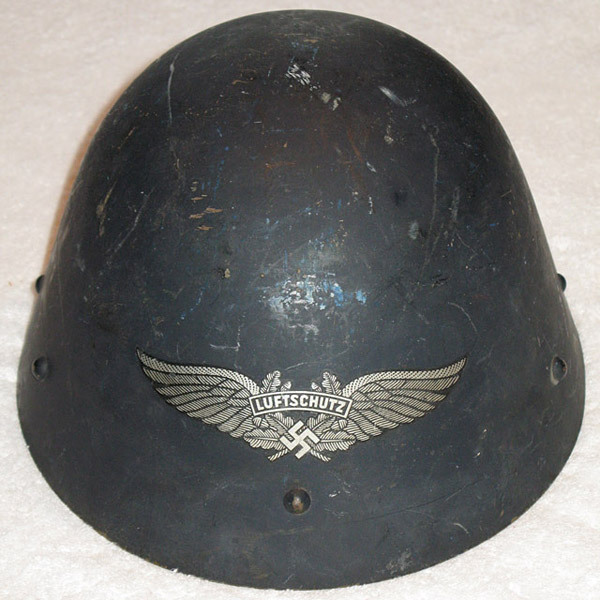 This is a captured Czechoslovakian M34 helmet that was converted into a Luftschutz helmet. 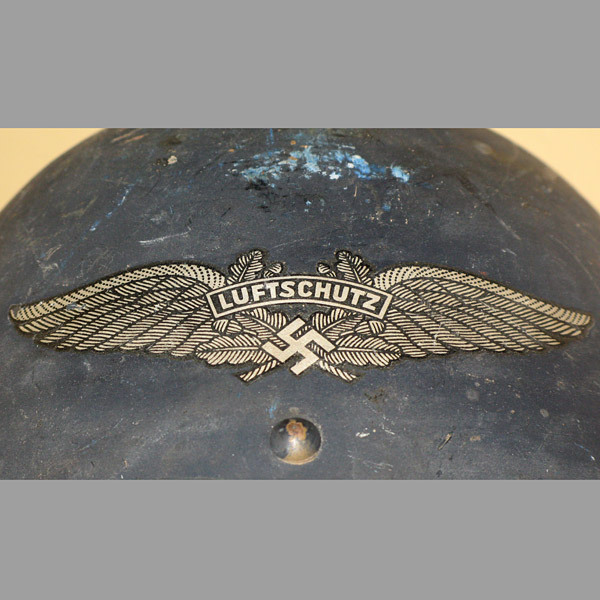 The standard Luftschutz helmet decal on the front is an almost unheard of 99% complete (most are lucky to be 75% in tact). 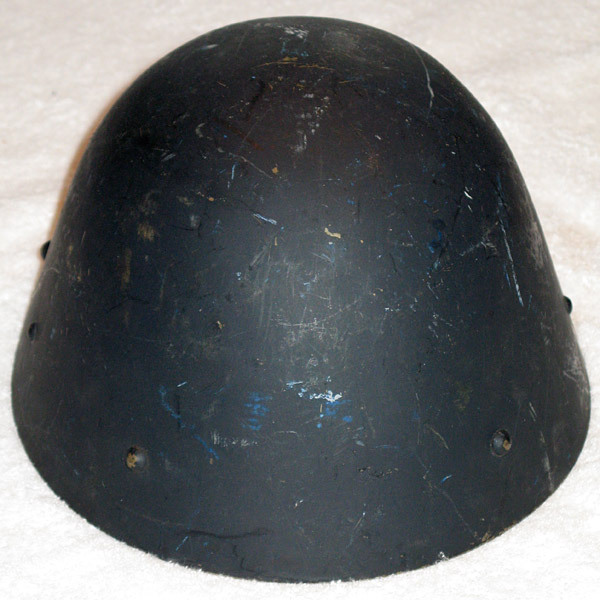 The liner pads are completely attached and the leather soft and supple. 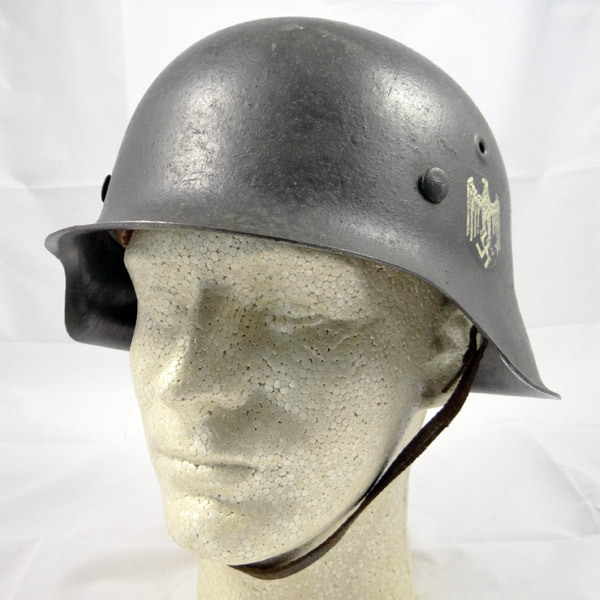 The chin strap is as flexible and strong, not dry and rigid. 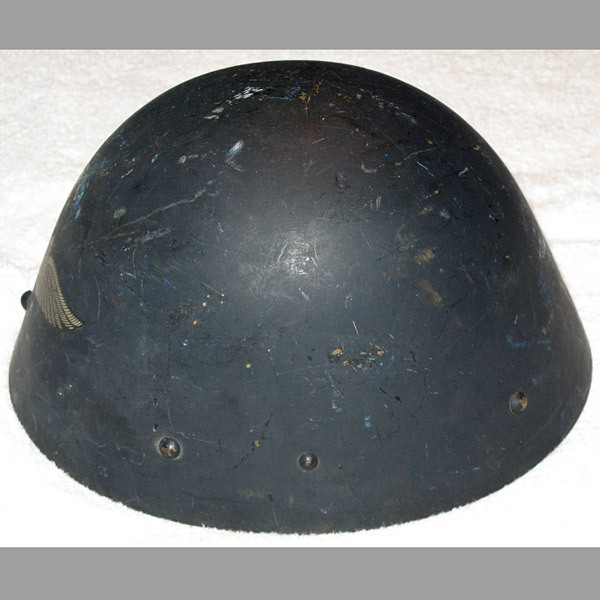 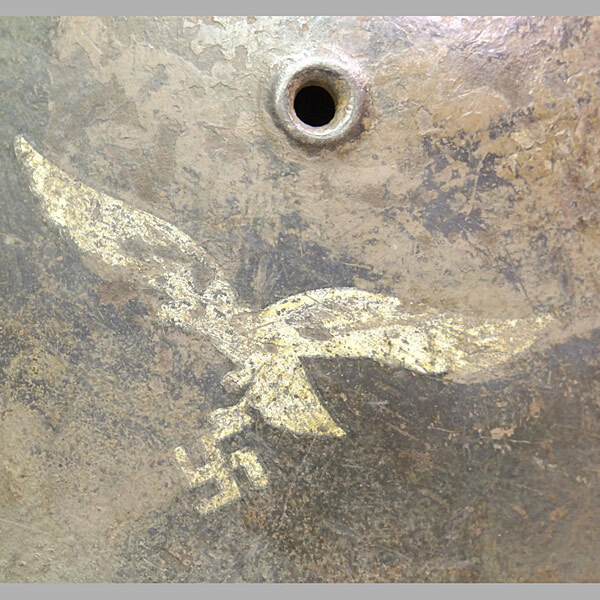 For the leather components to be in such good shape, this helmet must have been stored properly. 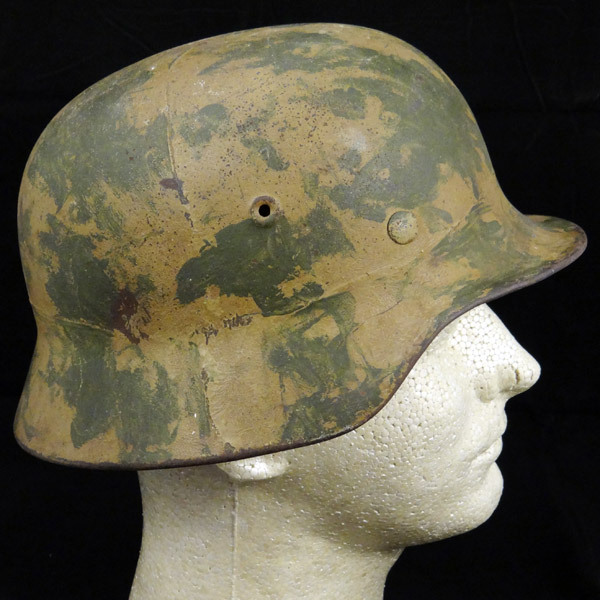 The shell paint is 98%, but with quite a lot of surface scuffs and marks. 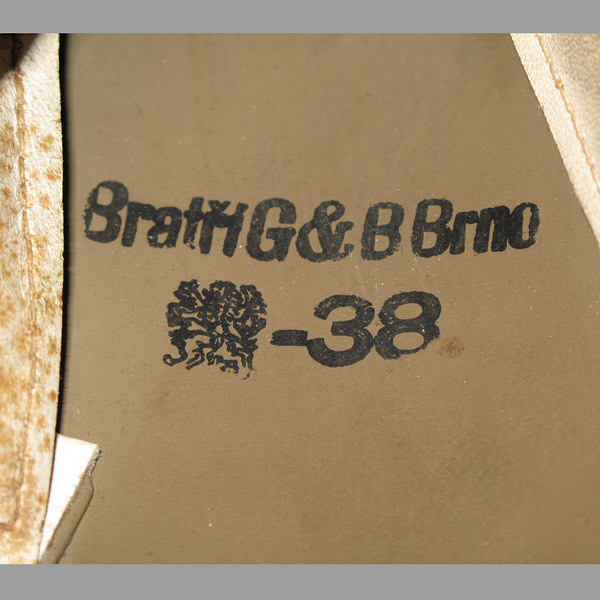 The majority of the marks you see appear to be only on the surface so it is possible (in our opinion) that some of the marks can be removed. 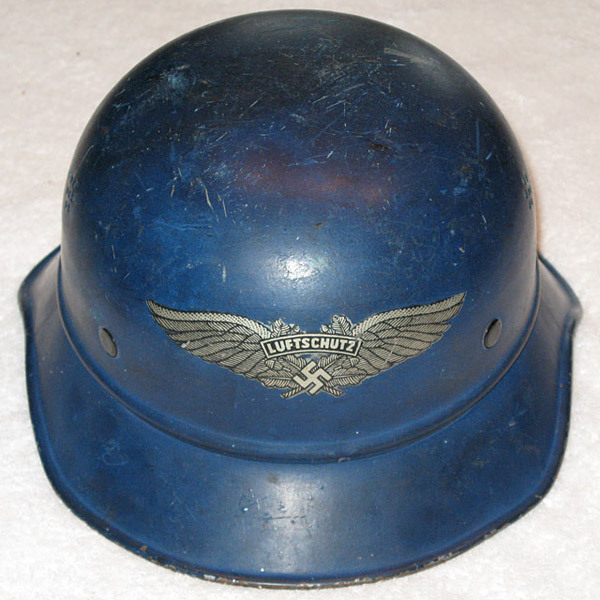 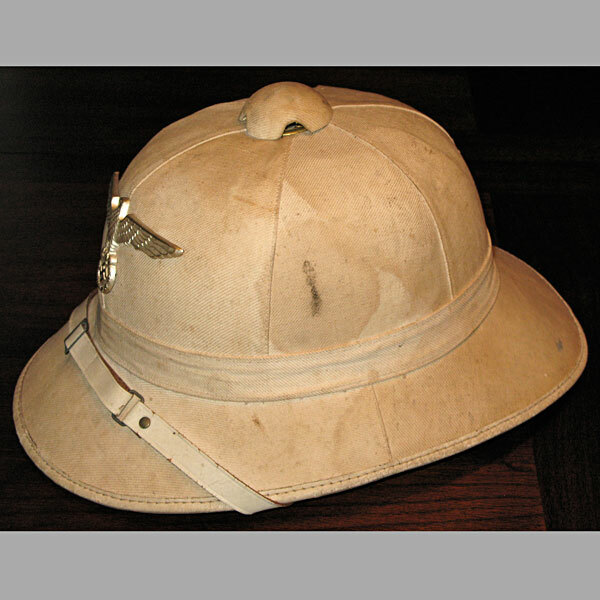 This is a fine, ultra-rare helmet in a condition seldom found!